Contains ship model packs you may need to run the various B5 missions. Various files that are either needed to run the B5 missions, enhance the game or showcase Buda5. 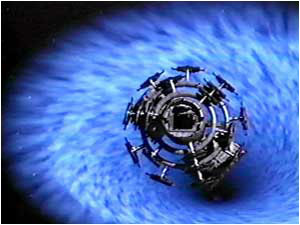 Battle against infinite hordes of Shadows, Vorlons, Raiders and Clark's special forces in your trusty Whitestar. Special bonus events for long time survivors. 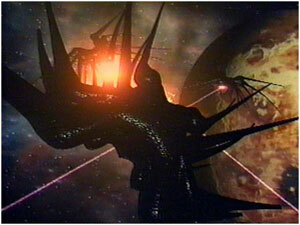 Note: The Minbari War includes this mission. 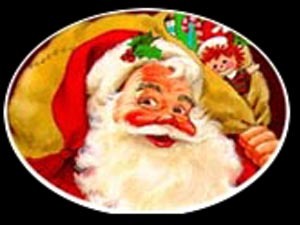 This holiday pack was released on Christmas 2000. It contains one mission from the raider campaign and two missions from the early days of Buda5: 'Endgame' and 'Martial Law'. 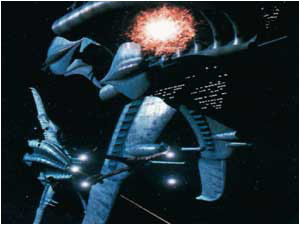 The first Buda5 campaign depicts the events of the Earth-Minbari war. You are a starfury pilot fresh out of the academy assigned on the Earthforce heavy cruiser EAS Athena. The chilling adventure of pirates, passion, intrique and greed. Live the life of outlaws. Click on the title to show the Readme. This file contains one mission from the raider campaign and two missions from the early days of Buda5: 'Endgame' and 'Martial Law'.